If Eskimos have 30 words for snow, then Spaniards must have 50 words for WHITE! 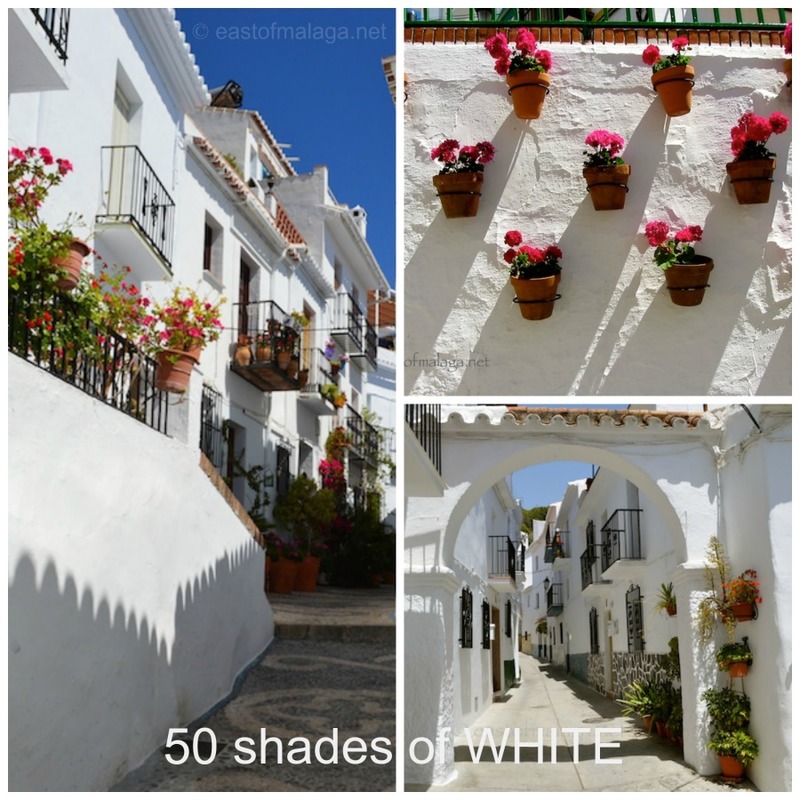 This entry was tagged Andalucía, East of Malaga, Europe, Malaga, photography, Spain, travel, white villages, Wordless Wednesday. Bookmark the permalink. Love, love, love them all! Thanks! Your photos make it plain to see why you love living there. These towns were each beautiful. Thanks John 🙂 Yes, I am very lucky – but I DO know that! I’d love to walk those steps in Frigiliana. Beautiful – we’ll be back next week! We should be there in November. Can’t wait to check it out, looks so beautiful. Did you Ruth? I’m so glad 🙂 You KNOW just how pretty this village is then! Such beautiful white with the red of the flowers against them. Gorgeous is not a good enough word for these places. 50 words or no word, I love, love these white building in Spain! Great photos, Marianne. Haha, nicely put. I enjoyed all your links too. Such pretty villages! Great post title. Live in Competa and visited to the other villages too. I live in the campo near to Competa. We are very fortunate, aren’t we? Lovely…I want to be there, NOW! !